In the largest such study so far undertaken, US researchers have shown that testosterone replacement slows the recurrence of prostate cancer in low-risk patients (eau – European Association of Urology). 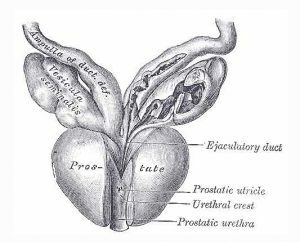 This may call into question the general applicability of Nobel-Prize winning hormonal prostate treatment. The work is presented at the European Association of Urology congress in Barcelona. Doctors have long regarded testosterone as a hormone which promotes prostate cancer. The 1941 work of Huggins and Hodges won Huggins the 1966 Nobel Prize for Medicine, for reporting the dramatic impact of testosterone reduction on prostate cancer. However, in the late 1990s to 2000s, doctors discovered that although men on long term anti-testosterone treatments were not dying from prostate cancer, they were dying prematurely of cardiovascular disease. It seemed that although anti-testosterone therapies were treating the prostate cancer, the extremely low testosterone levels were significantly worsening metabolic complications such as elevated blood sugar, diabetes, elevated cholesterol, mid-abdomen visceral fat, etc. This led some doctors to suggest testosterone treatment of some low risk men after radiation or surgical treatment. Starting in 2008 a team of doctors from the University of California, Irvine, led by Professor Thomas Ahlering, began to carefully select patients for testosterone replacement after primary treatment of prostate cancer with robotic radical prostatectomy. The team worked with 834 patients undergoing radical prostatectomy. They treated 152 low-risk patients with no evidence of disease with testosterone replacement therapy. After a median of 3.1 years following surgery, they tested the patients for biochemical recurrence of cancer, as indicated by measurement of the Prostate Specific Antigen (PSA) levels. They found that cancer had recurred in only approximately 5% of treated patients, whereas cancer had recurred in 15% of the patients who did not receive testosterone. Overall, after accounting for differences between the groups, they found nearly a three-fold reduction by three years. Thomas Ahlering commented “This is not what we set out to prove, so it was a big surprise: not only did testosterone replacement not increase recurrence, but it actually lowered recurrence rates. While the testosterone is not curing cancer per se, it is slowing the growth of cancer, giving an average of an extra 1.5 years before traces of cancer can be found. We already know that testosterone can help with physiological markers such as muscle mass, better cholesterol and triglyceride levels, so this seems to be a win-win”. We’re not suggesting that treatment methods be changed just yet, but this puts us at the stage where we need to question the taboo against testosterone use in prostate cancer therapy – especially for low-risk patients after radical prostatectomy. We need the oncology/urology community to begin to review testosterone use”.